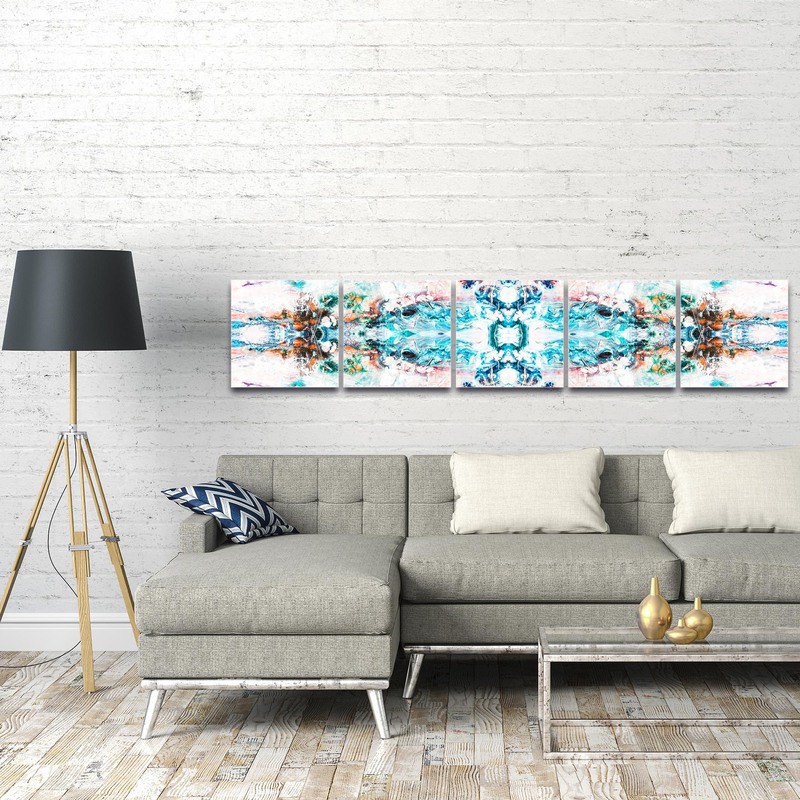 Celestial is a brilliant 64in x 12in wall art piece with colorful urban subject matter produced by the spectacularly talented artist Jamie Anton with all of the energy, coloring and detail of the original masterpiece. 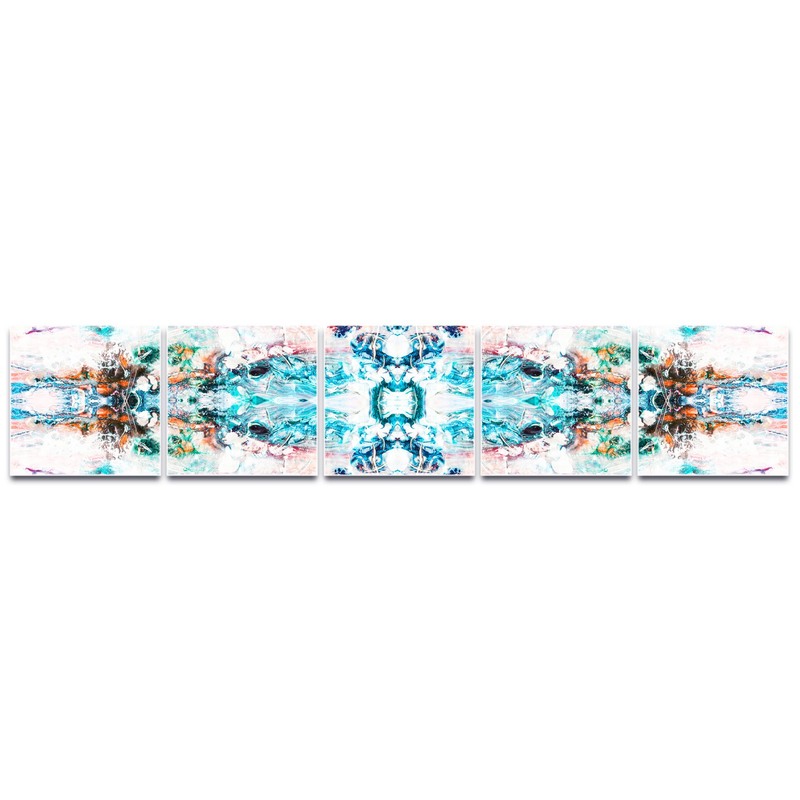 This abstract wall art is a high resolution giclee print with UV-cured acrylics in vibrant hues of aqua blue, fire orange, green, wine on metal or plexiglass with an attractive satin or high gloss finish. 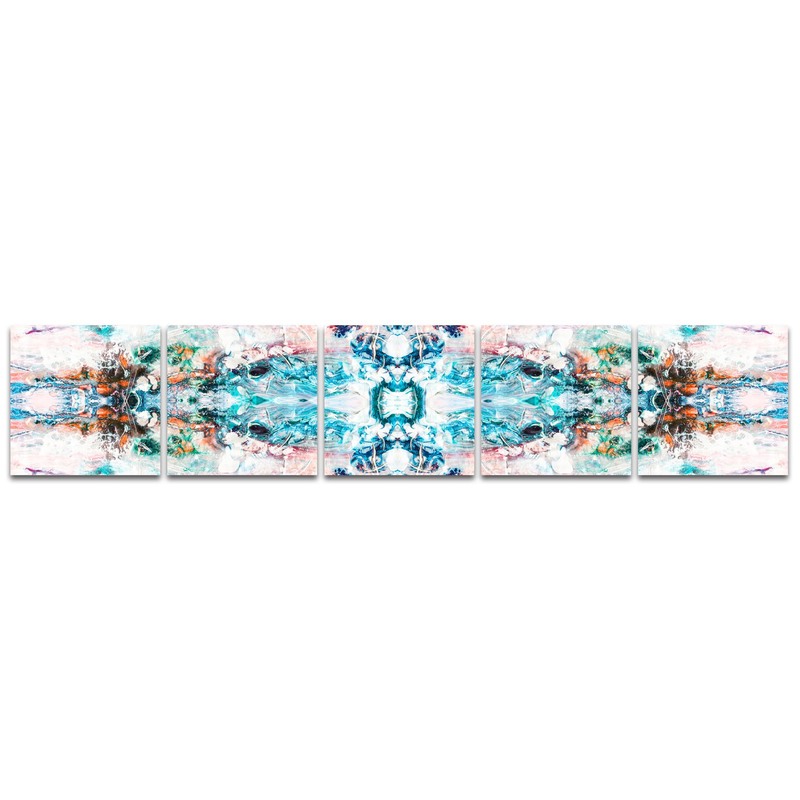 Suitable for indoor/outdoor placement, this colorful urban decor is a gorgeous addition to our Abstract style Non-Representational Wall Art collection and is a popular choice for spaces ranging from urban homes to upscale hotels to harmonious day spas to modern corporate offices.